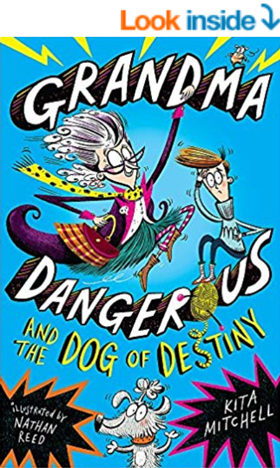 This hilarious book is the perfect KS2 class reader for an introduction to comedy writing and the comedy genre, aimed at children aged 8+. The comprehensive reading notes feature cross-curricular activities, project ideas and reading questions, fantastic for inspiring class discussion. BOOK KITA MITCHELL FOR AN EVENT! "Thrills! Biscuits! This book has it all." Website designed by Grove Geeks Ltd.